In today’s world, growing plants is not as simple as just putting seeds in soil and adding water and light. As technology has advanced, the choices growers are faced with have expanded immensely. Many types of growing media have been developed that include the nutrients necessary for plants to grow. At TekSupply, we offer a variety of growing media for all types of plants and growing methods. Grodan Growing Media: Grodan products are made of molten rock spun into cotton candy-like fibers and then compressed into cubes, blocks or slabs. 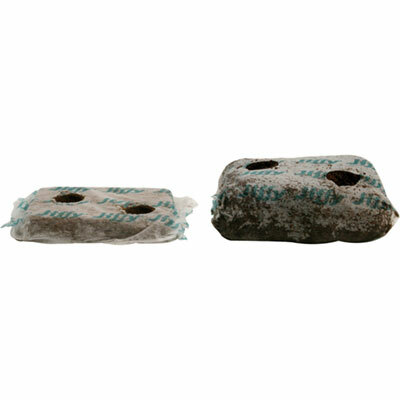 Grodan A-Ok Starter Plug sheets are ideal for starting seeds in Standard 1020 flats. Each cell is 1.5" by 1.5", the perfect size for seed and cutting propagation prior to moving the seedlings to Grodan Delta Gro-Blocks. Before moving seedlings, check to see that the roots coming out of the starter plug are at least 1" long, and then simply place the plug right in the Gro-Block® hole. 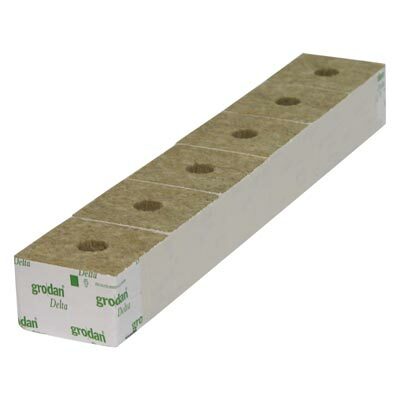 Delta 4 Blocks should be used with small plants, such as strawberries and peppers. Delta 6 Blocks are great for growing large fruiting crops, such as tomatoes and cucumbers. Either size is perfect for use in ebb and flow, Dutch bucket and drip hydroponic systems. 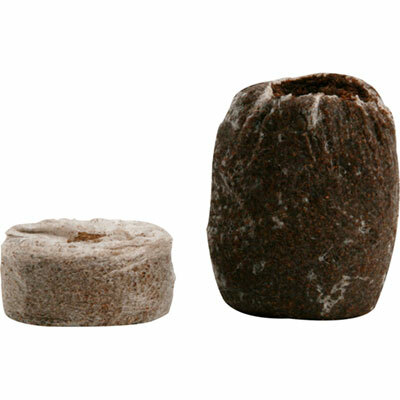 Jiffy-7C Coir Pellets: For superior aeration and water retention, grow plants in Jiffy 7-C Coir Pellets. Made from 100% coco substrate that is purified and stabilized, Coir Pellets are peat free. Coir Pellets are based on the proven theory of "container and media in one" as they are wrapped in a biodegradable containment material. Jiffy 7-C Coir pellets are "Certified for Horticulture" according to their RHP certification and face stringent quality control to provide an optimum rooting environment for your plants. Jiffy Grow Blocks: Like their Coir Pellets, Jiffy Grow Blocks are also produced from a 100% coco substrate, which is derived from the pithy tissues of coconut husk, and is a renewable, environmentally friendly material. If you are growing hydroponically, or in the greenhouse or nursery industry, Jiffy Grow Blocks are the ideal growing medium for you. When growing commercially, it is important to keep costs low, and Grow Blocks will help you do this. 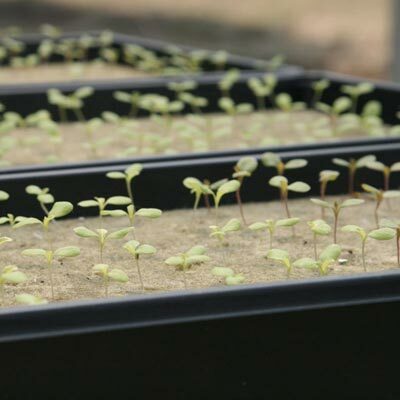 When Grow Blocks are delivered, they are simply dry plates enclosed within a biodegradable netting, again offering the "container and media in one" theory. This keeps transporting and storage costs low for the grower, as well as offers a clean greenhouse environment, as the media stays within the block. To use the Grow Blocks, simply add water and fertilizer solution. This will cause them to quickly expand, readying them for propagation or cultivation of plants. Since Jiffy so carefully selects the coco substrate used in their products, Grow Blocks have maximum water retention, superior aeration and maximum oxygen diffusion rates in the root zone. This causes rapid rooting with stronger roots and accelerated plant growth. If you are looking for more growing space, try Expert Gro Slabs in conjunction with Coir Pellets or Grow Blocks for the ideal hydroponic growing environment. 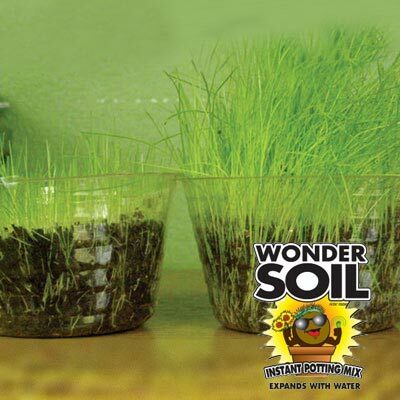 Wonder Soil® Growing Media: Wonder Soil® is an eco-conscious soilless potting medium made from renewable coconut coir fiber, worm castings, Biosol® natural fertiziler, mycorrhizae, kelp and water-saving polymer crystals. 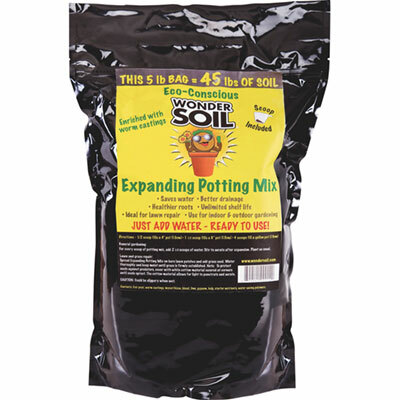 Recommended for both the professional and the hobby grower, Wonder Soil® is a biodegradable potting medium that maximizes growing success and is available in a variety of forms. 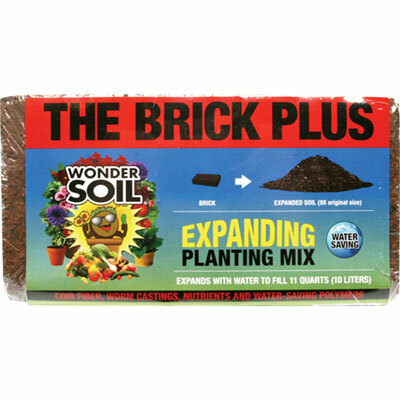 For growers short on space, Wonder Soil® is an ideal option as it comes in very small packages that are easy to ship and store. One truckload of Wonder Soil® is needed for every ten truckloads of loose soil because when water is added, it multiplies to about nine times the volume. After adding water, you will have a soilless medium with a perfect balance of water to air. Wonder Soil® tends to reduce watering and fertilizing costs by up to 50% and is completely safe for use around children and pets. Made in the USA, Wonder Soil® produces stronger seedlings with larger root systems, as well as healthier transplanted and potted crops. 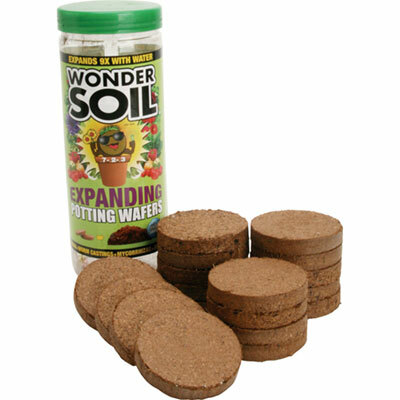 Wonder Soil® is available as wafers, 5 lb. reground bags and bricks. Reground Wonder Soil® is made from wafers that have been reground into thousands of tiny expanding granules. When mixed with grass seed, the reground product is amazing for rapid lawn repair. The Brick Lite® is recommended for larger projects in trafficked areas. Brick Plus® is recommended for larger projects in un-trafficked areas. Both bricks are great for commercial and residential use, greenhouses, high tunnels, landscaping, nurseries, garden centers and more. Horticultural Perlite: Perlite can be used on its own, or mixed with topsoil, potting soil or any other sterile growing media for drip or passive hydroponic systems. 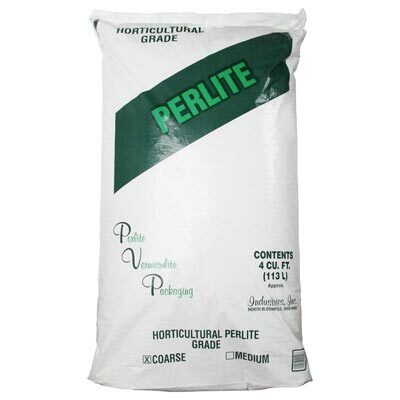 Made of chemically inert inorganic material, Perlite will not deteriorate and has a neutral pH. Perlite provides aeration and drainage, yet retains and holds substantial amounts of water that it releases when needed. Due to its superior water-holding capacity, this medium increases the nutrient-holding capacity of plants when water-soluble fertilizers are used. Horticultural Perlite helps plants thrive and improves soil structure, allowing you to keep using the same soil year after year, resulting in healthier crops that require less labor and watering. 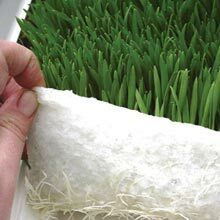 Perlite is a very lightweight material which will not crush fine stems or root systems, making it ideal for growing delicate plants such as lettuce. It is also sterile, free of disease, weed seeds and insects. All growing media from TekSupply are environmentally friendly and will help reduce your carbon footprint. No matter what medium you decide to use, make sure to give your plants plenty of water and light for best results. If you are not sure which medium is best for you, contact us for assistance. Have questions about Growing Media? Visit Live Help or Contact Us.